To our loyal JITTERBUG customers and to those of you who are visiting for the first time—Welcome! We take great pleasure in offering you a selection built on quality and unparalleled pricing. Best of all, we offer Boys and Girls the opportunity to have a Hip Hoppin', Bee Boppin', Bouncy time! We're happy to help make your special day exciting and memorable. Inflatables, Games, Slides and FUN Food Machines are the perfect entertainment for any Party, BBQ, Corporate Event, Family Reunion or Picnic. Our inflatables are versatile with rain/shade convertibles tops that allow kids to play without having to worry about the rain or sun. 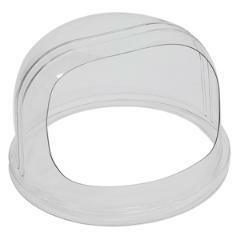 Plastic or mesh windows provide maximum safety and clear visibility for supervisors. Our inflatables are thoroughly inspected and carefully maintained to ensure they arrive party perfect just for you! You might be too big to bounce, but you're never too big to have FUN! Let your friends and family see your "Child-side". Our interactive games are perfect for the BIG KID in YOU! Challenging? Maybe a little! Entertaining? You bet! HAVE A BLAST at your next party, corporate function, family reunion, birthday party or wherever FUN and LAUGHTER are on the menu. They're fast, wet and super fun. Run and slide down the inflated runway covered with water, with a wall at the end to stop you! Great for hot weather, and outdoor events. Combo style bounce house is the ultimate in inflated jumpers. Inspired by the traditional jumping castle these Combo Units offer a large jump area and multi play. Extra activities may include a slide with convenient exit, a basketball hoop, and inflated characters. Parents and spectators are offered a clear view through mesh net windows. 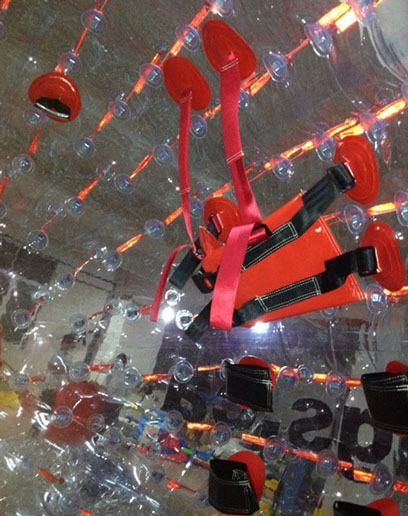 INFLATE the fun at your next venue with one of our Combo Units. This exciting Teeter Totter is designed to seat up to seven kids for a rollicking up and down, side-to-side ride. Interactive dashboard and spinning propeller adds to the fun. Your aspiring young pilots will feel like they are really in control. You remember it from the arcade and loved it as a kid. Now you can have it for your own party or school carnival. Our inflatable Skee Ball will be a hit and fun for all ages. Get set for this fast frenzy competition! Players go to opposing battle stations (covered with netting), load water balloons in their own launcher, pull down on the handle, aim and fire! Your balloon soars high through the air and comes crashing down on your opponent's battle station. You might get sprinkled, sprayed or saturated. Watch out retaliation comes quickly! Dimensions: L 40" / W 82" / H 80"
Pitchburst® is a favorite at parties, fund raisers, carnivals, fairs, festivals, corporate events and more. It's safe and simple to play - pitch a ball, hit the target and - SPLASH! - a water balloon bursts overhead. CLASSIC—Use full 11" or 12" water balloons. Pitch the ball, hit the target and SPLURSH! Extra fun for fund raisers when you charge $1 to $5 for 3 throws. Sometimes kids will line up and pay just to sit in the chair to be the one splurshed! LITE—Fill 11" balloons with 1 quart (or less) of water, inflate the rest with air. Same fun action, less water used (good when it's chilly out, or you're indoors with a kiddie pool to catch the Splursh water). CONFETTI—Use confetti instead of water in balloons (make your own with a funnel, or buy hand-filled confetti balloons from us). Great for indoors, or when your VIP good sport really doesn't want to get wet! Also adds a great popping sound! SLIME! (OR APPLESAUCE OR PUDDING)—Kids have seen it on TV, so make it happen for wild and crazy events. Insert food-colored applesauce or pudding through a funnel (fill about 1/2 full) and inflate the rest with air. Be prepared to clean up, though. The Mini All Stars™ game is a liteweight inflatable that uses mini basketballs. Partygoers will enjoy hours of fun shooting at this tough little game. Perfect for all types of parties and special events. Go big or go home! Giant sized Connect Four takes the classic game to the supersize level. Two players. The object of the game is to get four of your colour checkers either vertically, horizontally, or diagonally. Connect Four Anyone? Flip or throw a washer in the air and aim for the washer cup. Two or more players. It's an exciting game that's perfect for all ages. "Yee-Haa!" Toss the bean bags into the holes to score at this bean bag toss game! Great fun for country themed or birthday parties. 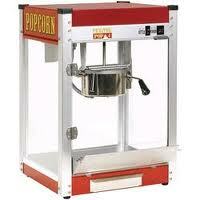 Fresh Hot Popcorn on demand with this is easy to use unit. Great for any private or public venue. Easy money maker for fundraisers. Convenient to use, pre-measured 2-1 kernel and oil packages. One bag servings. Practice your football shooting skills with this great inflatable football skill game. You can challenge your friends to see who can score the highest with 3 balls. 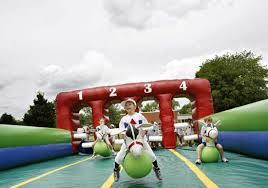 The Inflatable Derby - 4 Lanes with 8 Horses is interactive. Place your bets and get ready for the race! Riders will have a blast hopping down this inflatable Race Track, as friends and family cheer on their favorite horse to the finish line! Here it is, the famous Carnival Game brought right to your party's door. 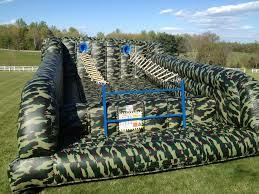 Test your balance as you try and make it all the way up the ladder without falling into the camo mattress below. This is a challenging interactive game for kids of all ages. Don't leave this out of your next fundraiser or corporate venue. Making Cotton Candy like the "carnies" is extremely easy! 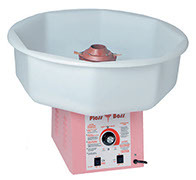 Start by adding sugar to our special candy floss making machine. It will crush the sugar as it spins, turning it into thin floss-like threads. Grab a stick and dip into the bowl as the motor spins round and round. Within, a few seconds, you'll have fresh mouth watering cotton candy. Excellent for birthday parties, fundraisers, school fun fairs and street parties. Different flavours of sugar to choose from. Sticks and/or bags. Sno-Cones are an awesome treat on a HOT day! The Igloo design is an attention grabbing feature that boost sales when used for fund-raising opportunities. The cooler makes the perfect Sno-Cone in seconds for parties, and other functions. Different flavours of syrup to choose from. Cone cups. Up to 4 players, take turns whacking the ball in efforts to knock their opponents off their station & land on the inflated surface. Can you be the last 1 standing? Great 1-on-1 competition for all players. Take your best shot as you attempt to kick the soccer ball past the goalie and score in 1 of the 2 holes. The Circus Obstacle Challenge inflatable brings all of the action of a three-ring circus, sure to entertain attendees of all ages under the big top. 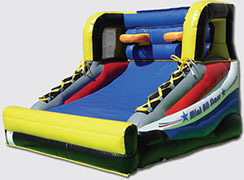 Young ring masters and circus performers will be drawn to this inflatable's activities. Colorful artwork displays many circus performances, including an entrance through rings of fire! Dimensions: L 30' / W 8'6" / H 8'6"
Spring colors, plus 30ft of slip slidin' track with a soaker hose to keep this popular slide WET N' WILD! Bright rainbow arches, plus 30ft of slip slidin' track with a soaker hose to keep this popular slide WET N' WILD! Don't be afraid to get wet with this big-mouthed surf & slide - with over 30' of watery excitement! This dog's got the high bouncing fun of a jumping castle coupled with a slide for easy escape. Inside the belly of our firehouse mascot you will find a small inflated dalmatian figure and basketball hoop with a nerf ball. Every fun event should have a Ferris Wheel and now’s your chance to add one to your venue without bursting the bank. Towering over 17 feet in the air the Ferris Wheel will be the centerpiece of your next event. The Ferris Wheel includes 5 activities along with a large bouncing area on the inside and a carnival game panel on the outside. It is also equipped with convenient attachment points for hanging rope lighting or other decorations. Combo features beautiful artwork, a spacious bouncing area and a climb & slide. The Module House provides over 150 square feet of pure bounce, perfect for all size gatherings of friends! Interchangeable art panels allow you to tailor your special event. Big bug, tons of fun! Kids love being swallowed up by this GIANT ladybug. One look through the clear plastic windows and you know you're in for a great time. Dimensions: L 24'4" / W 13'4" / H 12'8"
The Disney Jump pulls in the magic. The entire cast of characters is here, from Dumbo and Tigger to the Princesses and Pinocchio, not to mention Mickey and all of his closest friends. This jumper has 360-degree mesh windows, so parents and spectators can have a clear view. 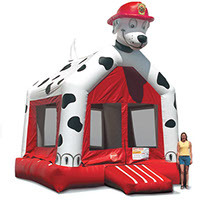 Dalmatian to the rescue in any party emergency! No need to go to the firehouse to play with this eager Dalmatian mascot! 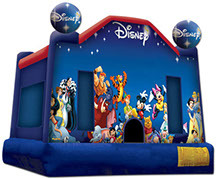 Your partygoers will have tons of high bouncing fun! Kids just love bouncing on the belly of this playful Tiger. Include this guy on your guest list and your partygoers will have a ROAR! Girls really want to have FUN! This Princess power castle is the icing on the cake for Barbie, and Princess theme parties. Features a shade roof. Everybody loves a hero! Boys and girls can "serve and protect" in this super-size police car. Its long and narrow to accommodate tight spaces and unique locations. For ages 12 and under: Climb inside and strap into harness. Go down hills, rent the inflatable ramp or have family and friends push you around. Use on grass surface or inside a gym. No Hill, No problem. Rent this inflated 19' ramp to tumble and bounce down in one of our Hamster Balls. This EXTREME interactive game is an attention grabber. Kids, teens and adults love it. Once you see it, you'll have to try it. For ages 12 and up. Climb inside and strap into harness. Go down hills, rent the inflatable ramp or have family and friends push you around. Use on grass surface or inside a gym. LOOK OUR WAY! Offer a unique way to draw in the crowd as far as the eye can see. Attract positive attention to your venue. Very entertaining and fun to watch. There are a variety of colours to choose from. ©2014 Jitterbugs.ca | All rights reserved.